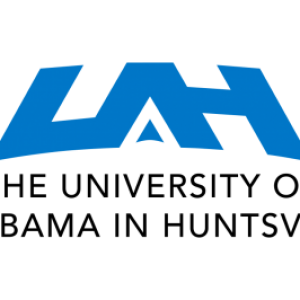 The University of Alabama in Huntsville (UAH) is a Tier 1 national university located in Huntsville, AL, which Southern Living recently named one of the best college towns in the South. It serves more than 9,100 students from 90 countries and almost all 50 U.S. states, with its graduates going on to higher average starting salaries than those from any other school in the state. UAH offers 89 degree programs in Engineering, Nursing, Education, Science, Business, and the Arts, Humanities, and Social Sciences. Its 505-acre campus, which includes more than 15 high-tech research centers and labs, is also the anchor tenant for the second-largest research park in the nation. UAH is regularly ranked the best return on investment among all schools in Alabama. Refer to www.uah.edu for more information on the university, its academic and extracurricular programs and offerings, and the community it serves. The Resident Director (RD) is a 12 month, live-on, entry level professional responsible for the programming and administrative management of a co-educational Residential Community ranging in size from 229 residents to 416 residents. Abides by, interprets, supports, and enforces University Housing policies, procedures, and regulations. Assists in the coordination of room assignments and insures proper key control, facilities maintenance, and other administrative aspects of the area’s operation with the Assistant Director for Housing Operations. Serves as on-site liaison for vendors, contractors, repair staff, etc. who are working in or providing services for the area. Develops a cooperative relationship with departments and offices on campus and provides these offices with appropriate information and referrals as needed or requested. Completes all appropriate administrative work and resident record keeping in a timely manner. Coordinates and monitors regular health and safety inspections of suites. Monitors the physical condition of the area and reports problems to the main Housing Office and/or Physical Plant as needed. Works collaboratively with Maintenance and Custodial Staff on issues within assigned area. 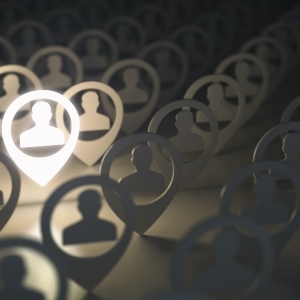 Works closely with the Associate Director of Conference and Events in all aspects of summer conference housing, including the hiring, and supervision of Conference Assistants. The RD is a vital team member of the Central Housing Staff. Acts as liaison between the Housing Office, Resident Assistants (RA) and hall residents. Attends regular Housing Staff meetings. Shares responsibility in on-call duty rotation. Meets weekly with the Assistant Director for Residence Life. The RD supervises the RA team (7-15 paraprofessionals) in the area and works with the Assistant Director for Residence Life in their selection, training, and evaluation. Plays an integral role in the planning and implementation of the interview process, selection, and training and development of the RA team. Is paramount in the integration and continuing education of the RA team through meetings, committees, and individual advisement. Supervises the RAs to insure that they fulfill their responsibilities and perform their duties. Promotes developmental enhancement opportunities for the RAs through regular and timely constructive feedback. Conducts weekly meetings of the RAs and keeps them informed about matters related to University Housing. Maintains regular individual communication with each RA and with other members of the Housing & Residence staff. Hires, supervises and manages the student staffed front desk/security operation. The RD plans, develops, implements, and supports programs that contribute to the educational, social, and developmental growth and overall well-being of residents. Plays a key role in the creation of educational and social opportunities through the direction of their area Community Development Model. Provides leadership for RAs as they fulfill their programming requirements. Promotes resident involvement in the planning and implementation of activities. Participates in the orientation of freshmen, transfer, and international students. Identifies, encourages, and assists potential student leaders in University Housing. 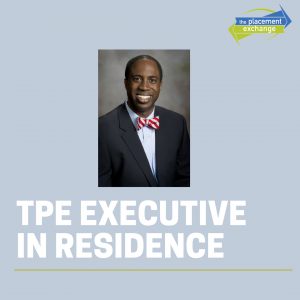 May serve as advisor to the Residence Hall Association or Hall Representatives. The RD assists residents in developing their personal, academic, and social skills. Encourages and supports an educational environment in Housing. 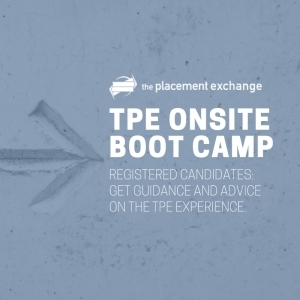 Advises, consults, and refers students on an individual and small group basis. Provides timely follow-up with residents who have made counseling contacts. Maintains a high level of visibility and student contact and is accessible to residents. Intervenes in resolving roommate conflicts. Provides disciplinary counseling and sanctions to residents. When necessary, makes student judicial referrals. Bachelor’s degree, 1-3 years of full-time verifiable work experience at an institution of higher education, knowledge of Microsoft Office Suite, excellent communication and interpersonal skills and a demonstrated use of business etiquette skills, and must possess a valid driver’s license. 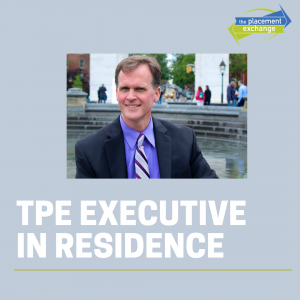 Preferred requirements include: Master’s degree in Student Affairs Administration, Public Administration or a similar field, knowledge of Adirondack Solutions software and Banner, 1-3 years of experience in the area of housing and residence life, familiarity with living-learning, First Year Experience (FYE), or Sophomore Year Experience (SYE) communities or theme communities. 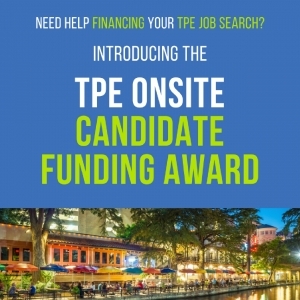 UAH will be attending TPE to interview for 1-2 openings with anticipated start dates in June/July 2019.